This time of the year when you're most likely to be cooking the most due to the upcoming holiday season, you'll want to have some quality cookware on hand. 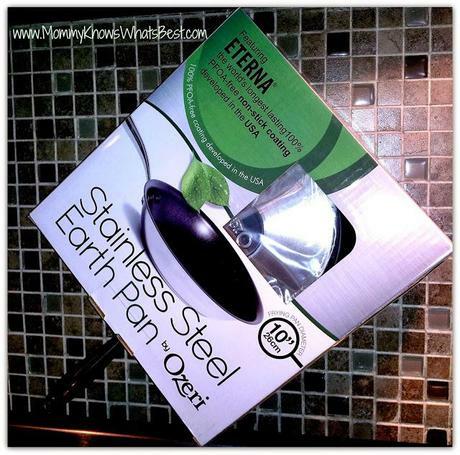 The Ozeri Stainless Steel Earth Pan is definitely a quality piece to use! When using this pan, it's recommended that you season it with a little oil or butter first. Non-stick cooking spray would ruin the non-stick coating, so it is not recommended. It's also recommended that you use utensils that won't scratch the surface, such as the items below. The pan has a shiny mirrored surface, so I suggest hand washing it. 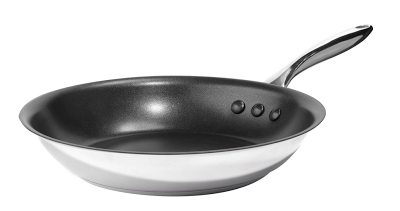 In the past I have put other similar pans in the dishwasher, but I have found that they do not come as 'clean' looking and it ruins the non-stick surface. 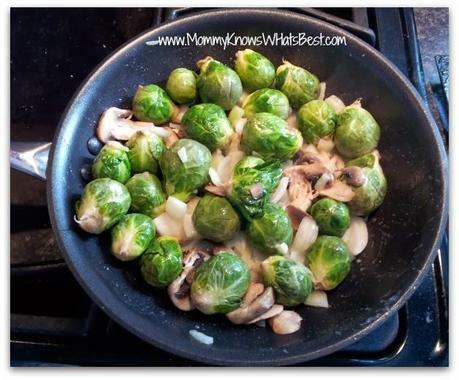 I used my pan to make brussel sprouts for my kiddos, who love them! I use butter, chopped onions, mushrooms (the chef hat kind, as my son says), salt, pepper, and garlic powder. They were cooked to perfection and delicious! Plus, they were made in a pan that did not emit any harmful chemicals when heated! 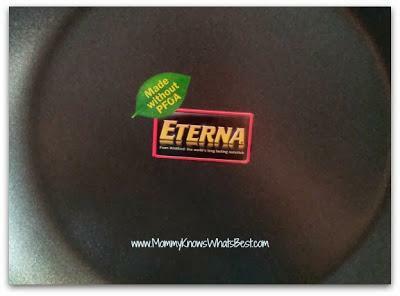 When using this pan, it's important to note that it heats up quickly due to how it's made. It takes very little heat from the stove to cook the food! This is the second pan from Ozeri that I have reviewed. They make quality products! See that review here. 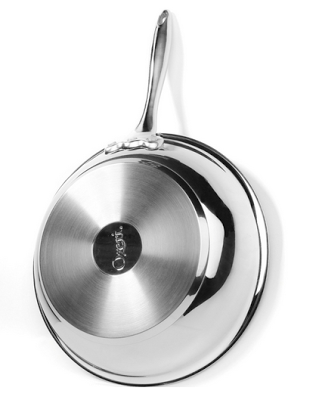 I recommend the Ozeri 10-inch Stainless Steel Earth Pan, which can be found on Amazon here. Marissa is a stay-at-home mom who writes pregnancy and parenting articles on HubPages as ThePracticalMommy, as well as shares her motherly escapades on Mommy Knows What's Best. *This post contains affiliate links, which help to cover the costs of running this blog. Thanks!